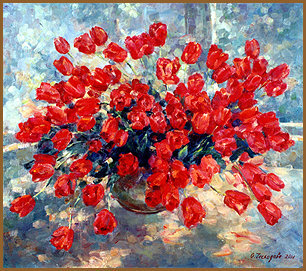 Tulips on the veranda, canvas, oil, 80x90, 2001. 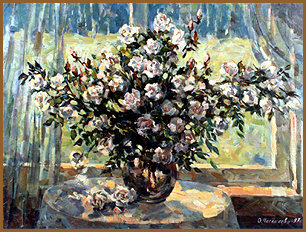 Roses, canvas, oil, 60x80, 1997. 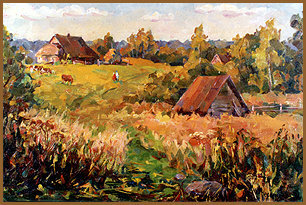 Village, canvas, oil, 40x60, 1996. 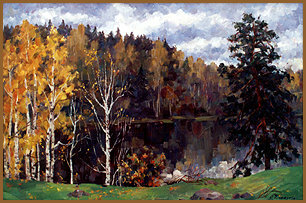 Birch Grove. 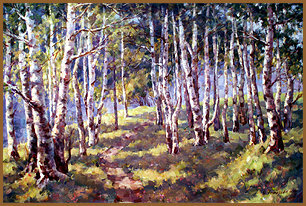 Morning, canvas, oil, 80x120, 2001. 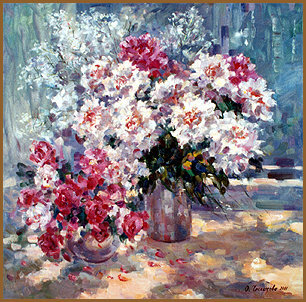 Peonies and Roses, canvas, oil, 75x75, 2000. 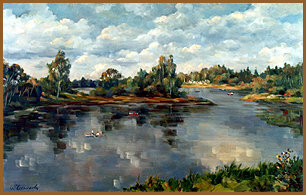 Cloudy Day, canvas, oil, 50x77, 2000. 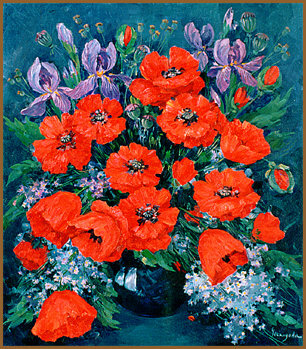 Poppies, canvas, oil, 80x70, 2000. Last Autumn Days, canvas, oil, 77x112, 2000.